Welcome to the homepage of the Digital Woman of the Year™ Awards, an annual award recognising outstanding women in digital sectors around the world. The Digital Woman of the Year™ Awards are part of the international Ada Awards™ that recognise outstanding girls and women in digital sectors globally and the organisations that support them. 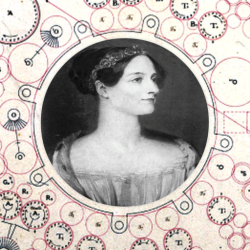 The awards are affectionately named after the first-ever computer programmer, Ada Lovelace, Lady Augusta Ada King, Countess of Lovelace.